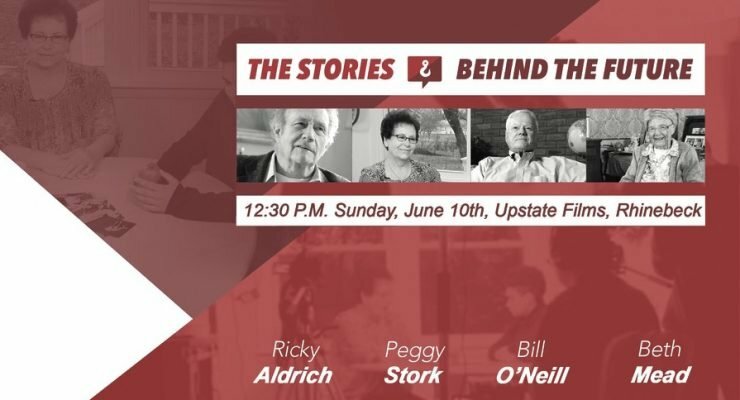 Stories Behind the Future - Upstate Films, Ltd.
Join us Sunday, June 10th at 12:30 for a special premier of four videos by the Red Hook Oral History Project. Filmed and edited by Red Hook High School students, this program features stories from four local residents: Ricky Aldrich, Peggy Stork, Bill O’Neill, and Beth Mead. The project was made possible with funds from the Decentralization Program, a program of the New York State Council on the Arts with the support of Governor Andrew Cuomo and the NY State legislature and administered by Arts Mid-Hudson.